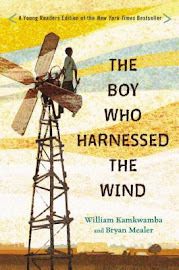 The ALA Youth Media Awards were announced this morning (aka, Newbery, Caldecott, etc.). The suspense and anticipation may have led me to break my newly made resolution to stay off the computer from 9am-1pm. I discovered that it's actually difficult to find out the results immediately following unless you kept pretty close tabs on the play-by-play. 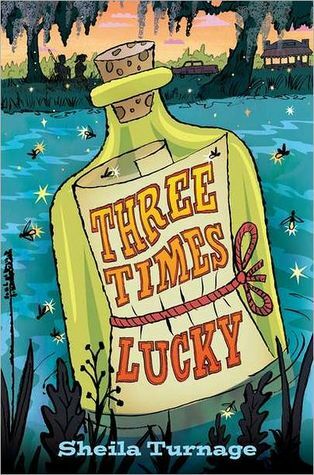 I remember when this title began popping up on mock Newbery lists. At first, I had no interest in it. Big gorillas starring as main characters are not that appealing to me. But the more I heard about it, the more I wanted to read it, and you can be sure I'm going to read it now (it's already on hold at the library). Stay tuned for more of my thoughts. I had this book checked out over Christmas, and you can be sure I'm kicking myself now that I didn't make reading it more of a priority. (Why, oh why did I choose to read After Hello before this?!) I'm actually really excited about this one winning an honor because it looks like a totally original plot, and I've heard that Schlitz's writing is gorgeous. I only recently started to hear a lot of buzz about this title. It definitely sounds intriguing, and I'm glad that a nonfiction title made the list. It actually pains me a little to write that this was the winner. Yes, we've read it. Yes, I think we even laughed a little. But seriously, I am beyond disappointed that this won the medal. I would so liked to have been a fly on the wall when this book was being discussed by the committee. I'm just wondering what merits they thought it had that pushed it ahead of so many other fantastic books. The illustrations? Sure, they're fine--on the simple, neutral side, but nothing wrong with that. They're just not anything that when friends come over for dinner, I'd pull it out and say, "You have to look at these illustrations!" (yes, I really do that). The illustrations do contribute significantly to the plot, but is it really that great of a plot to begin with? Not in my eyes. That said, I'm willing to eat my words. I certainly did not have a great love for Mo Willems when first I read, Don't Let the Pigeon Drive the Bus, so we'll give Jon Klassen another chance. 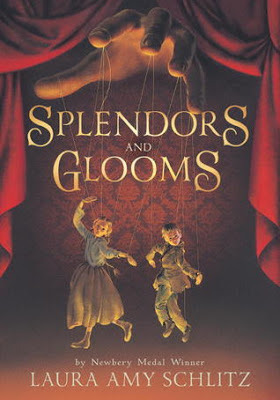 We checked this out around Halloween, and it was definitely one of the stand-out Halloween books (though we didn't review it, I think mainly because everyone was reviewing it). I love the colors that are used (black, white, and gray, with splashes of orange). It's another humorous one, but as with This is Not My Hat, I didn't find it that funny. I'm a little bit bitter about this winning, too (man, can't I be happy about any of these Caldecott choices?). I mean, the guy already won the medal! Did he have to get an honor, too? Let's share the love a little. I actually liked this book quite a bit better than This is Not My Hat, so I would have been fine with keeping it if we could have kept out This is Not My Hat. I think I only read this book once when we had it from the library, but I do remember that my dad read it to the boys while he was visiting, and he thought the ending was strange and confusing. I didn't have that impression, but I'm going to check it out again. This one was definitely a favorite to win, so I'm not at all surprised to see it on the list. 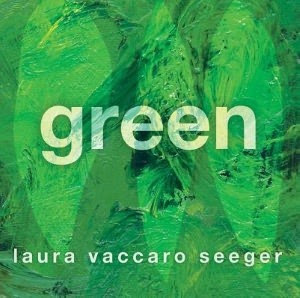 Aaron was a huge fan of this book, but he is a huge fan of the color green, so of course he was destined to like it. It's another one that I need to give a second chance. I've noticed with picture books that sometimes I can tell on the first page if I'm going to like a book or not, but sometimes my love grows with the book, and I have to give it several rereadings before I truly understand, appreciate, and love it. I think that may be the case with this one. We just read this book for the first time two nights ago. 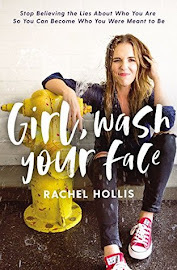 It was good--funny and cute with a surprise twist at the end. 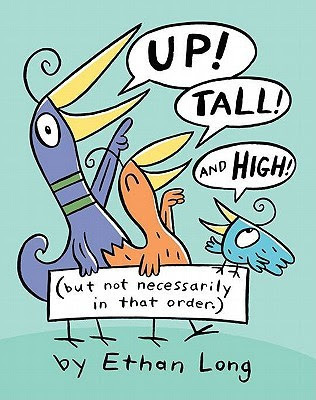 As I was reading it, I actually thought, If I do a post featuring picture books with great manners, this is going to be on the list. The boy has exceptional good taste and employs highly polished speech. This is the only one we haven't read (actually, haven't even heard of), but I put it on hold this afternoon. Honors: Let's Go For a Drive by Mo Willems (we read it approximately 250 times over Christmas break--so good! ); Pete the Cat and His Four Groovy Buttons by Eric Litwin (Pete never disappoints us); Rabbit & Robot: the Sleepover by Cece Bell (we haven't read it but will soon). There were other awards announced, but those are the ones that matter the most to our family. Congratulations to all the winners! P.S. You have no idea the pleasure it gives me to write my thoughts about the winners. 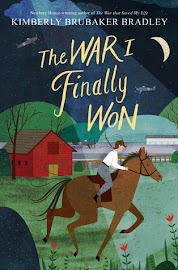 Last year, I didn't have this blog, but I had followed the Newbery/Caldecott buzz and had some strong opinions about the winners, but I had no place to share my thoughts. That was one of the (many) experiences that pushed me to start this blog. I'm glad you posted this! I saw the winners earlier and was waiting for your post. 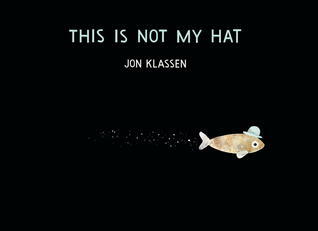 I am very upset about Jon Klassen too. I almost wish I didn't start caring about the awards this year because it just makes me mad ;)! But I guess everyone has their own style- and mine obviously wasn't the same as the committee this year. I LOVE Three Times Lucky the audio. I can't wait for your thoughts on the first two. 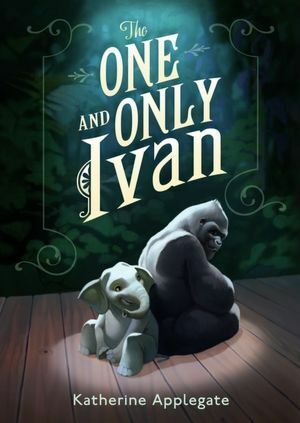 I hope you get a chance to read The One and Only Ivan -- it really was a special book. And Code Name Verity -- holy cow! My favorite book all year! I was surprised that Wonder didn't get mentioned at all -- it was a book that I expected to get mentioned with the winners. That was my shock. And last year? Don't get me started! Still angry about Okay for know. Grrr. I picked up "I Want My Hat Back" one day in Target and thumbed through it. 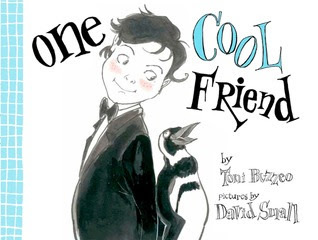 I thought the illustrations were cute, but like you were stunned that his next book was on this list, I was totally surprised to see that it had won an award. Both the story and the illustrations just seem to simple to be winning any awards. I'll have to check out some of these other books, though! The title of your post made me giggle. I have to admit I hadn't read any of the Newbery winners either. I really loved Schlitz's earlier book The Night Fairy, so I'm looking forward to reading Splendor's and Gloom. I actually like the Caldecott choices. I was really surprised that Klassen won again, although back to back wins are not all that uncommon. 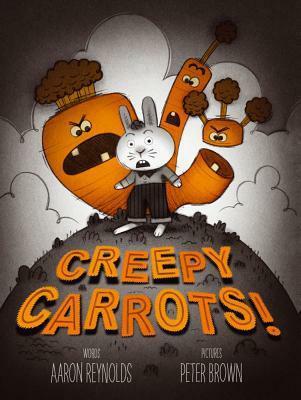 I think Willems won back to back (honors) for Knuffle Bunny and its sequel and those books were nearly identical. 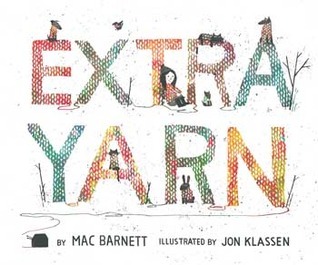 I actually love Klassen's style and Extra Yarn was one of my favorites of the year. I loved One Cool Friend, but it wasn't on my radar at all. It's always so much fun to dissect the winners, isn't it? Thanks for sharing your thoughts at The Children's Bookshelf. Klassen was a favorite to win last year, but he only won a Geisel Honor, right? We are definitely going to check out both "This is Not My Hat" and "Extra Yarn" again, and I'm hoping I'll like them more the second time around. I actually don't mind his style. There were just so many others that I loved so much more. But that's why I love books--there truly is something for everyone! Ha! So true! And yet, until someone steps up to the plate and does it better than him, he deserves every win. I love your take on the awards. I didn't read any of the Caldecott books but I have ordered most of the Newbery books. I was surprised that the non-fiction made the list. I bet it edged out Wonder! Still a little bitter that it did not win any award. I wanted Ed Young to win a Caldecott. He had two books a non fiction book about strange animals and Nighttime Ninja. I also hoped that Red Knit Cap Girl would get a Caldecott. 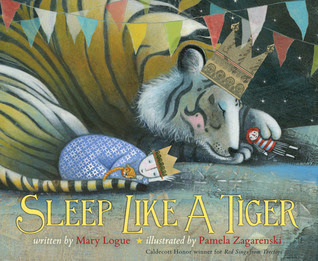 Such a sweet book with gorgeous and UNUSUAL illustrations. I confess that I might hang out at a book store at some point to read all the Caldecotts and Geisel books. 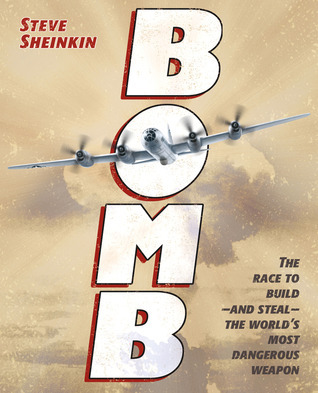 I was also surprised by the nonfiction, but I kind of love it when a nonfiction book wins. I was disappointed about "Wonder," too, especially that it didn't even win the Schneider, which it totally should have. My boys loved Nighttime Ninja, but I didn't know that Ed Young had a nonfiction book, too. It looks fascinating. Thanks for pointing it out!